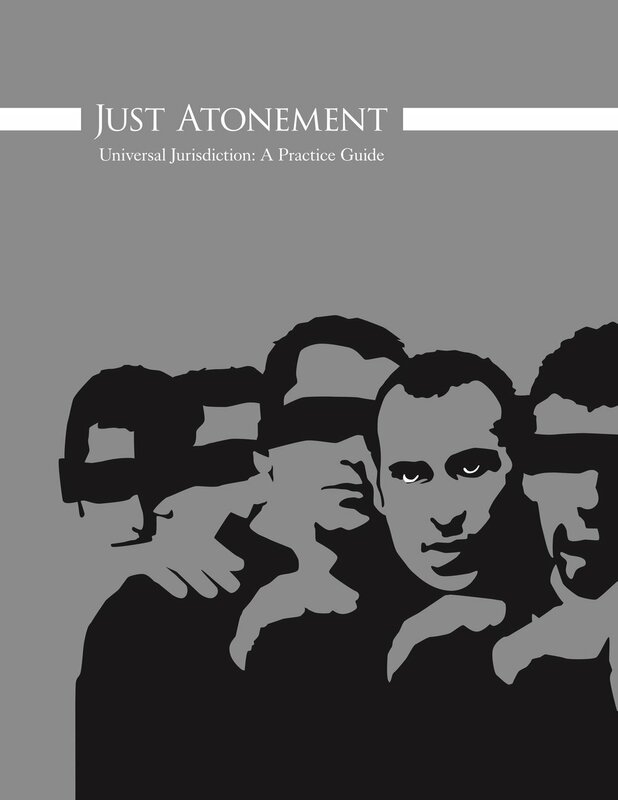 Universal Jurisdiction Practice Guide — Just Atonement Inc.
Just Atonement has recently drafted the world’s first Universal Jurisdiction Practice Guide, designed as a reference for human rights practitioners all over the world. This guide will assist litigators as they advance and win arguments related to universal jurisdiction and international law, including criminal codes. Litigators can rely on our Practice Guide while navigating thorny issues that cross international borders, including trafficking, war crimes, economic activity, cyber activity, and environmental crimes that affect all citizens regardless of geography or national origin. This guide will also provide theoretical foundations that will help to redress crimes related to climate change, an as-yet-uncharted but critically important aspect of the legal landscape during the years to come. Our international legal system requires continual attention and pressure in order to evolve into a functional and reliable entity that supports the rational rule of law and protects vulnerable populations from crimes that transcend the national identities of their perpetrators. The guide represents the culmination of countless hours of research and years of collective ligation experience, and we expect this document to support the work of human rights litigators and legal research teams both within and outside of the United States. Please feel free to download the Universal Jurisdiction Practice Guide here. Monica Li, Esq. -- Monica Li researches, writes, and edits in the areas of law and human rights. Most recently she worked on a documentary film investigating alleged human rights violations committed during wars the Iraq and Afghanistan. Earlier in her career, Monica was attorney at Shearman & Sterling LLP in New York, where she worked on financing of renewable energy and infrastructure projects. Monica is licensed to practice law in New York and holds a J.D. from Columbia Law School and a B.A. from Amherst college. M. Aurora Vasquez, Esq. -- M. Aurora Vasquez is a community-based lawyer with an extensive background in the civil rights sector, including voting rights as well as racial, immigrant and economic justice. The daughter of immigrant parents who labored as farmworkers, Ms. Vasquez began her legal career representing migrant and seasonal farmworkers. Aurora received her Juris Doctor from Temple University Beasley School of Law in Philadelphia. Victoria Yundt is a third-year law student at the University of California, Hastings College of the Law, where she focuses on international human rights law and environmental law. As an intern at Just Atonement, Tori has contributed to a wide array of projects, particularly the legality of the Iraq War and the use of universal jurisdiction to combat ongoing impunity for government officials. In addition, she has an M.S. in Sustainability, Development and Peace from the United Nations University in Tokyo. D. Inder Comar, Esq. -- D. Inder Comar is the Executive Director of Just Atonement.